School starts soon, are you ready? The school supplies have been purchased, new clothes hanging in the closet and now I have a sign to send Baxter to school with. Baxter has a peanut allergy so for me this sign is way more important than a new pair of shoes or a box of pencils. 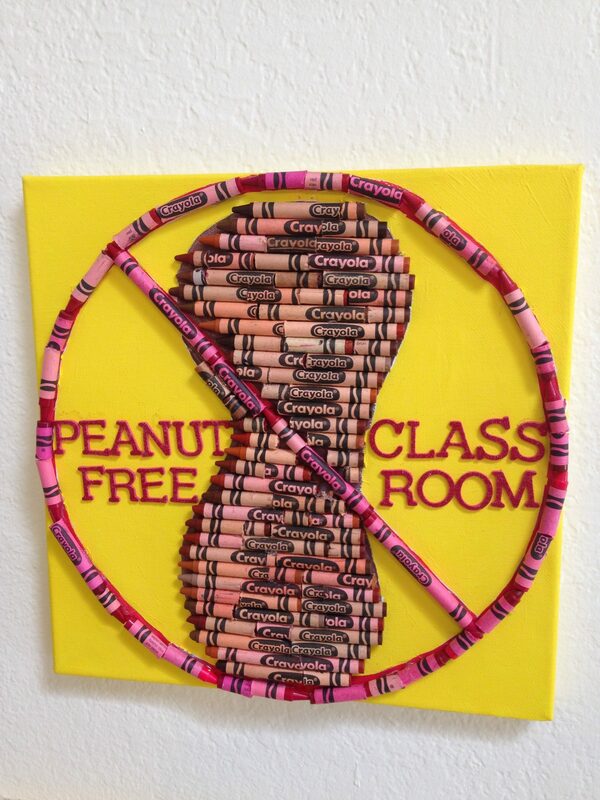 If you have a child with a peanut allergy pop over to the I Love to Create Blog to see how easy it is to make your own. Posted August 14, 2014 & filed under Crafts, I Love to Create, Kids Crafts.